GM is recalling over 27,000 Cadillac SRX vehicles worldwide over faulty wheel lug nuts, which may lead to a wheel falling off. 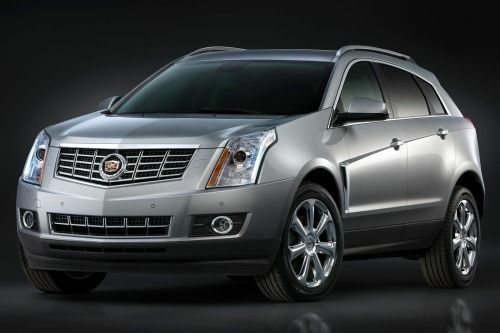 Affected by the recall is over 27,000 model year 2013 Cadillac SRX SUVs sold in the United States, Canada and overseas. The vehicles in question may have been equipped with defective wheel lug nuts that may loosen over time and become dislodged. As a result, one or more wheels may fall off, according to documents filed with the National Highway Traffic Safety Administration. The SRX recall affects roughly 18,871 vehicles in the US, 913 in Canada, and 7,397 overseas, according to GM. GM has been investigating the problem since October 2012. In January, the automaker determined that wheel lug nuts manufactured with a blue-tint Teflon topcoat might loosen. GM received six reports of loose lug nuts in March and April, but no instances where wheels have fallen off. There have been no reports of crashes or injuries, said GM spokesman Alan Adler. That being said, a wheel could fall off in extreme cases. Before it gets to this point, there are several warning signs that Cadillac SRX owners can look for including creaking, rattling or grinding noises from the wheels or steering vibrations. GM will begin notifying customers of the recall starting June 3. Authorized Cadillac dealers will remove and reinstall the lug nuts and rotate the tires at no cost to the owner. In the meantime, SRX drivers may contact Cadillac at 1-866-982-2339. Concerned owners may also contact the National Highway Traffic Safety Administration’s Vehicle Safety Hotline at 1-888-327-4236 or go to www.safercar.gov. The recall marks the second time GM has recalled the 2013 Cadillac SRX SUV this year. In March, GM recalled nearly 34,000 SRX and Buick LaCrosse vehicle due to a software issue that may result in the transmission involuntarily shifting from DSC (manual) to Sport (automatic) mode. Consequently, the shift will eliminate any transmission-related engine braking—thus increasing the risk of a crash. Click here to read in-depth coverage of Cadillac’s March recall. Currently in its second generation, the Cadillac SRX is a mid-size luxury crossover SUV manufactured by GM since 2004. The luxury SUV has been Cadillac’s best-selling model in the US since 2010. It is available in four variations: Base, Luxury, Performance, and Premium. The top-of-the-line model includes a 3.6L V6 flex-fuel engine, automatic transmission, all-wheel drive, navigation system, Bluetooth, iPod input, Satellite radio, side/curtain airbags, stability control, traction control and gets up to 17 cty/24 hwy mpg. The 2013 SRX Premium features a starting MSRP of $47,920.